Glow in the dark printed silicone wristbands. 100% quality silicone (not cheap rubber imitation). This is available in Adult and kids sizes. 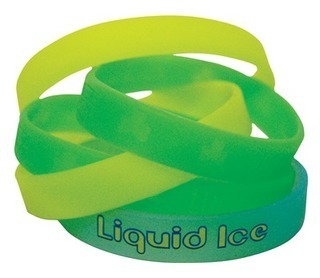 Colour: Wristband dyed to your PMS colour (+ or - 10% accuracy) and printed one colour. Wristband colour needs to be light for glow in the dark effect to be effective.